Call it a Ron Hextall experiment that didn’t work the way he had planned. Hakstol, 50, came to the Flyers after 11 seasons at the University of North Dakota. He previously did not have NHL experience. While at UND, Hakstol helped produce many NHL players, including Jonathan Toews and T.J. Oshie. He also coached Hextall's son, Brett. This won't solve any of their problems. They remain one big dumpster fire. I tend to agree, hopefully he gets another shot in the NHL. I hope Hak lands back in the college game. I believe Hak still has a home in GF, was for sale but don't think it ever sold. I would hope we would never have to play him. Can Berry bring him on as an assistant??!! Lets face it, Berry is a slightly above average coach but we are a way above average program. 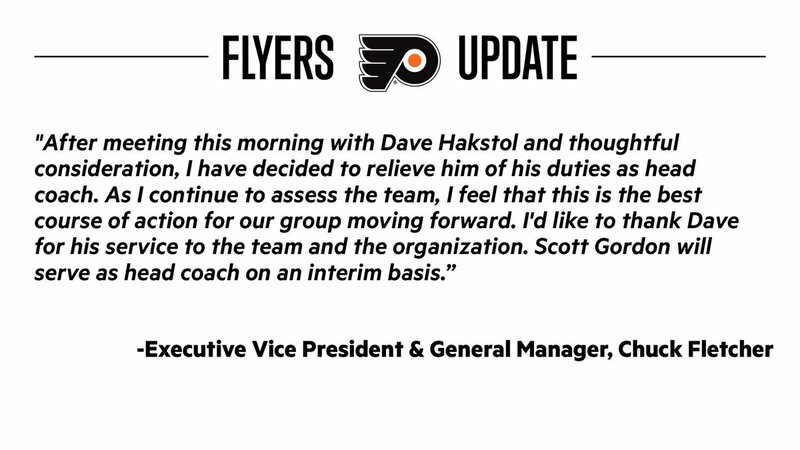 We need Hakstol. 4 years under contract at $2M per year = $8m = set for life. Yes, if he listened to a CFP (like myself) and invested wisely! For the game, absolutely. I just never want to play him. Never. Yeah, we better face it. WELCOME, TROLL! You'll enjoy it! Which side of the issue are you on today, gfhockey? Ouch.....reading Flyers fan comments makes other teams’ fans sound like angels. They’re pretty unforgiving. Philly is the worst shythole of people and fans on the planet. Good Lord just very bottom of the outhouse pit of the sporting world. Yep. I have relatives who reside in Philly and I visit them every other year. I love them but when comes to sports teams there, the ugliness within Philly residents is real. People who complain about UND fans have never met a Philly sports fan. Careful. StoneySioux will call you a troll if you keep talking like that. HAHAHA that's fantastic! I like this guy, already! GF and I go way back. Don't you dare put yourself in GF's realm. He's a legend here. 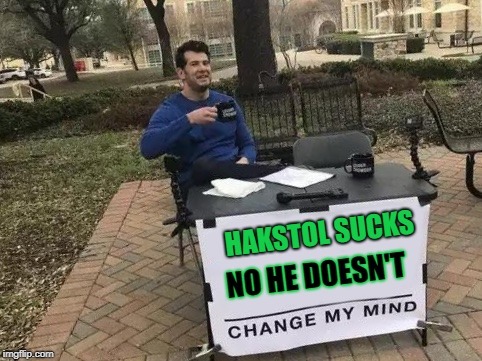 You've got a lot of work to do and frankly, you're off to a rather weak start "HawksCrossCountry69"
I'll have a column later today on where Hakstol could possibly end up next. Some of you 'newbies' think hockey originated in the 80's/90"s....should get some historical perspective......you think life 'began with you'...a millennial curse!!!!!! !